When would you like to stay at Baron Hotel - Check Availability & Room Rates!!! 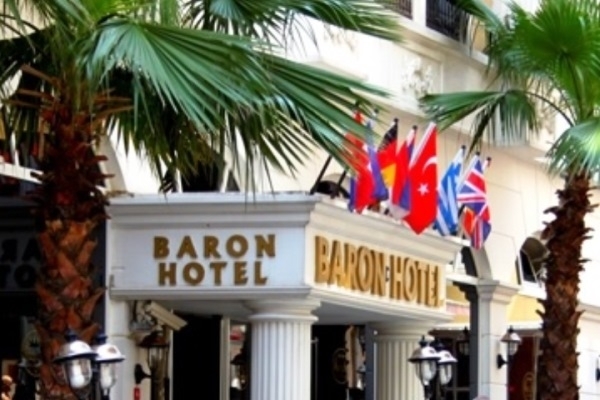 Baron Hotel is located in center of old city that all attractions just a few step ahead from you. Due to perfect location most prominent sites as Blue Mosque, Topkapi Palace, Hagia Sophia, Basilica Cistern that so easy to reach all sites during you trip. Baron Hotel has facilities as 24-hour room service, Lcd TV, Laptop size safes, Wi-Fi, Telephone in room and bathroom, Hair dryer, Air conditioning, 24 hours heating, 24 hours hot water, Desk, Mirror, Wake-up Service, Luxury bath products, Bathrobe, Slippers. How far and How long will it take from/to the Baron Hotel Istanbul from/to International Airports and cruise Ports. How to get from cruise ports to the city? What time should I leave my hotel to catch a flight in Sabiha airport? Ataturk Airport Transportation Is there any additional charge for my airport transfer service? Istanbul Airport Shuttle Ataturk Airport-Lost and Found Istanbul Airport Transfer How to meet at Ataturk airport How to meet at Sabiha Airport What time should I leave my hotel to catch a flight in Ataturk airport?